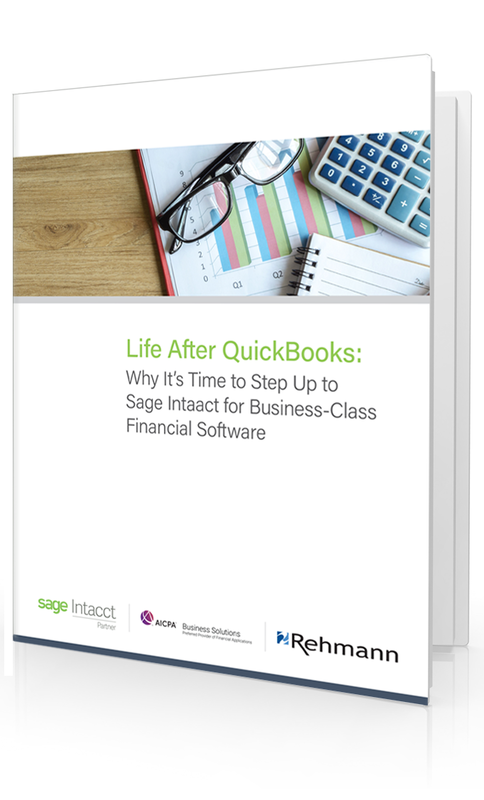 Complete the form to download the "Life After QuickBooks: Why It's Time to Step Up to Sage Intacct for Business-Class Financial Software" eBook, today! There are undeniable advantages of moderninzing your financial software. Are you a growing healthcare practice experiencing any of these issues with QuickBooks? That’s because QuickBooks wasn’t designed to manage practices with multiple physicians, employees and/or locations. If you want faster, easier, more flexible financial management without breaking the bank—you need to consider Sage Intacct. Download this eBook and learn how Sage Intacct solutions can help simplify accounting, streamline processes, improve productivity and deliver the real-time financial insights you need to make better decisions for your practice.